CHICAGO, IL — The national law firm of Quarles & Brady LLP has announced that Edward J. Hannon, a partner of the firm’s Chicago office, was elected Vice Chair of the Illinois CPA Society Board of Directors and will become Chair of the board next year. The 19-member Board of Directors lead and advise the Illinois CPA Society, Illinois CPA Foundation and CPAs for the Public Interest (CPAsPI). Board members are individuals who represent various aspects of the accounting world and demonstrate a dedication to the profession. Hannon’s practice focuses on real estate funds, real estate investors, note purchasers and developers on issues that include tax, governance, entity formation and related areas affecting real estate partnerships and joint ventures. Hannon represents foreign investors and pension funds in connection with the acquisition of U.S. real estate. 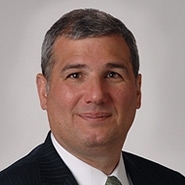 His experience includes providing tax and structural planning for mergers and acquisitions and joint ventures involving U.S. based businesses, as well as preparing tax sharing agreements in connection with acquisitions and dispositions. Hannon earned his law degree from Loyola University School of Law; his LL.M., with distinction, from Georgetown University Law and his undergraduate degree from St. Louis University. The Illinois CPA Society (ICPAS) is a statewide membership organization, with over 23,000 professionals, dedicated to enhancing the value of the CPA profession. Founded in 1903, ICPAS is one of the largest state CPA society in the nation. ICPAS members represent Illinois CPAs in public accounting and consulting, corporate accounting and finance, not-for-profit, government and education organizations as well as affiliate member groups for students, educators, international professionals and related non-CPA finance professionals.